Swissparts was founded in 1999 as the sole official distributor for HP Printer Parts in Switzerland, based in Dottikon. Swissparts supplies now more than 20 000 customers throughout Switzerland with spare parts, consumables, accessories and offers also services in logistics and storage area. In 2004, Swissparts expanded and established their subsidiary in Hungary. 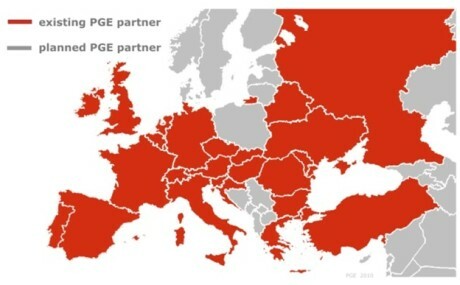 At the same time, the contracts for spare parts distribution in the countries Slovenia, Slovakia and the Czech Republic with HP have been completed. Slovenia, Slovakia and the Czech Republic are supplied from the Hungarian site. The sites operate autonomously and independently in any legal and financial terms. In 2013, the Swissparts Group counts 11 employees and will generate an annual turnover of around CHF 6.5 millions. Foundation of Swissparts AG in Dottikon CH. Kingston distributor for memory modules. Opening of the registered office Swissparts Kft in Budapest, Hungary. Opening of the central warehouse in Europe Altenstadt, Germany. Swissparts is a founding member and partner of the “PartsGroupEurope”. Acer, Epson, IBM, Lenovo, Kyocera, Xerox, Fujitsu Siemens, Samsung. Swissparts has today more than 20 000 listed customers. Swissparts serves resellers (dealers, distributors, repair-centers etc.) and also end-customers (private persons, insurance companies, banks, SMEs etc.). The next milestone in the Swissparts success-story, was in 2008 the partnership with PartsGroupEurope (www.parts-group-europe.com). As a founding member and shareholder, Swissparts has helped to create and drive the course for the future, of the European ITC-aftermarket. With our membership, we can offer our partners and customers the best possible service and a maximum portfolio for all well-known brands. Within this network, we have access to more than 600’000 products and parts from over 20 leading manufacturers. Furthermore, with this investment we can act as your local partner for your customers in almost all countries of the EMEA region. Service, quality and the sense of partnership are the main driver of our corporate culture since our very first beginning. This is our named behave, in any respect to our environment and to our employees. Only through our knowledge of your needs as our customer, we are able to provide you with the best possible service with maximum quality. The primary goal of Swissparts is to supply customers with spare parts, accessories and consumables. Our strengths -named by our customers- are individuality, quality and flexibility. With dynamic processes and individual solutions, we help our customers to meet their growing demands and needs of their markets, flexible and effective.